Woods takes home a grand prize of $2.07 million and a green jacket symbolizing Masters supremacy. Tiger Woods nail his first major title in 11 years. 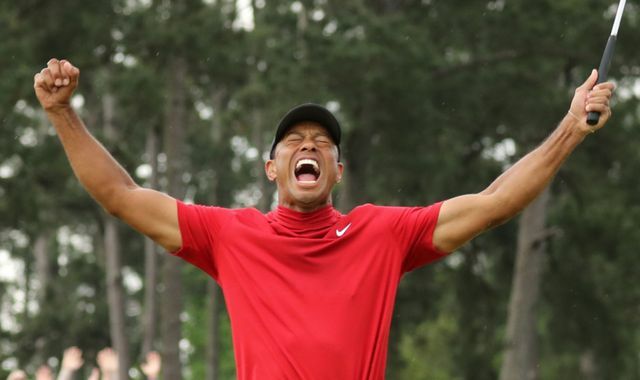 United States of America American professional golfer Tiger Woods has finally come out of his challenges and won his fifth Masters and 15th major title at the at Augusta National’s Sunday in what is considered one of the greatest come back in the sports books of history. Considered one of the best golfers in history, Tiger woods has for the past 11 years had challenges in his career stemming from injuries and scandals. He last won his first masters in 2005. Following his win, Woods becomes the second America besides Nicklaus to have scooped a Masters in three different decades and also to have more than four masters. During the game, Woods scored a final round two-under par 70 to finish on 13-under 275 for a one-shot victory while fellow Americans Brooks Koepka, Dustin Johnson and Xander Schauffele shared second on 276. Speaking to Journalist, Woods expressed how excited he was to have had one of the greatest unimageable come backs. “It’s overwhelming just because of what has transpired,” Wood said.